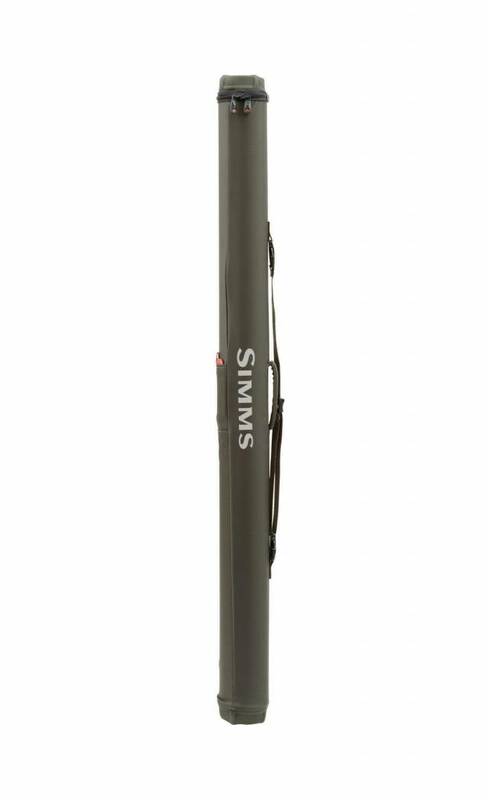 Simms Bounty Hunter 3 Spey Rod Cannon, Ideal for steelhead or trout-spey sessions, the Bounty Hunter 3-Spey Rod Cannon holds up to three 4-piece, 15-foot rods. 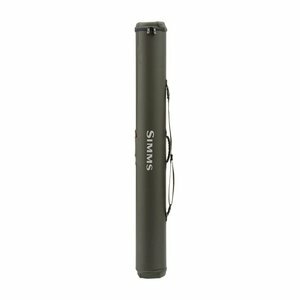 While rods stay cozy inside, indomitable 1680D dobby ballistic fabric and high-density plastic tubing keeps them safe from the outside. 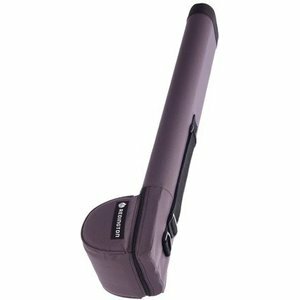 Additional features include a detachable, adjustable shoulder strap and centered padded handle for appreciated grab-and-go performance, plus compression molded end caps with removable foam for end-of-day fly attachment. 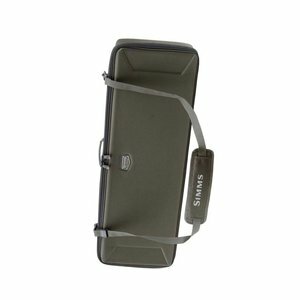 Dual locking zippers enhance security while rods are in transit, and a retractable luggage tag comes standard.